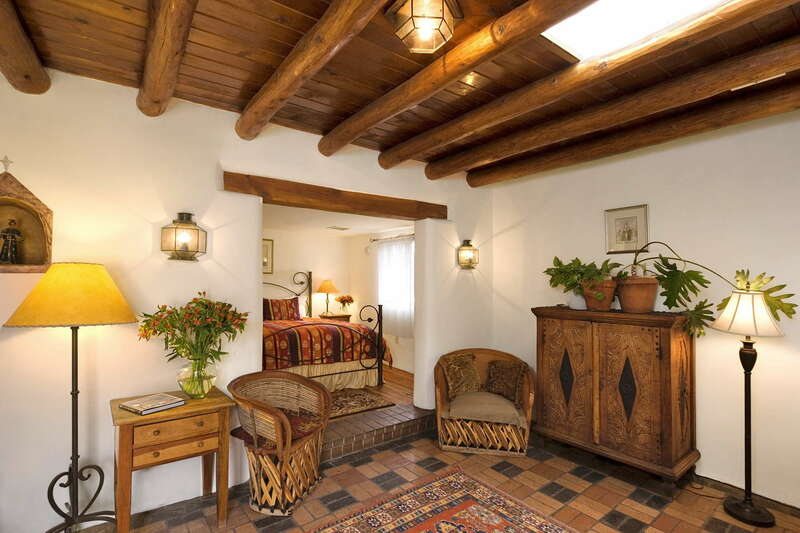 This classic Santa Fe Hacienda is just blocks from the Plaza yet set in a quiet residential area and sheltered from outside noises by thick adobe walls. 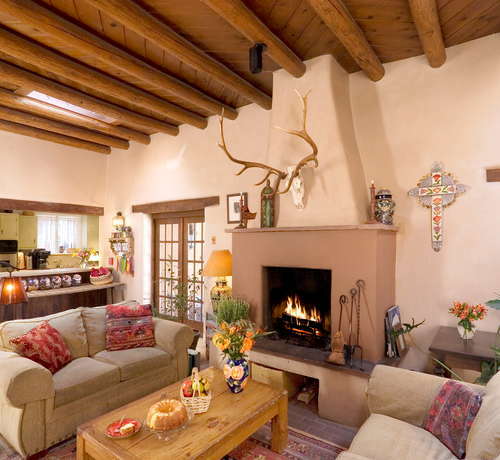 Southwest decor mixes with French country and Mexican details to create an ambiance perfectly suited to this city. The inn is part of a small group of neighboring properties that includes The Madeleine, Alexander's vacation rentals (which comprises four exceedingly lovely cottages and casitas), and the full-service Absolute Nirvana Spa. There's no gym on-site, but guests enjoy discounted admission to El Gancho Health and Tennis Club (10-minute drive) and free access to Shellaberger Tennis Center (12-minute drive). YOU SHOULD KNOW The Sage, Cottonwood, Hollyhock, and Wisteria rooms are accessed from a common interior space inside the inn; if you'd rather more privacy, opt for one of the other units, each of which has a private exterior entrance. The inn's charming bathrooms are brightened with Mexican folk-art tiles and vary greatly in size, and each is outfitted with eco-friendly bath products. YOU SHOULD KNOW As with the rest of this historic property, bathrooms have a rustic ambience and each has its own individual design. If you're not a fan of B&Bs, you might be happier in a larger, more conventional property. The warmly furnished living room of this handsome 1920s inn serves as the lobby and is a relaxing place curl up with a book (or peruse the extensive selection of local publications), snack on cookies, and mingle with fellow guests. 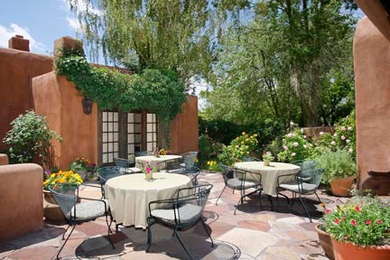 In warm weather, the garden courtyard serves as a delightful outdoor common space. Photo: Indulge in a luxurious massage, facial or Balinese Spa Treatment at our award-winning Absolute Nirvana Spa. All therapists are Master Level, with 10-30 years of experience. Located across the street in the same Victorian building that houses sister property, The Madeleine B&B, the tranquil Absolute Nirvana Spa is a full-service facility. After enjoying one of the 60- to 120-minute treatments, ranging from yogurt-and-honey body masks to Indo-Asian hot stone massage, soak in a rose-petal bath before a crackling wood-burning fire. 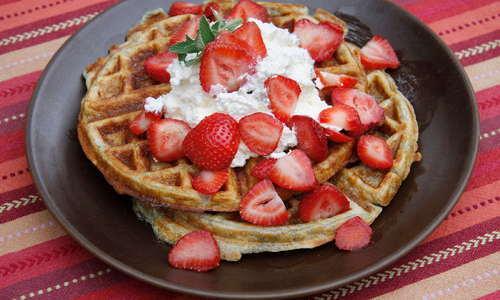 Photo: Our Blue Corn Pinon Waffles, the personal favorite of most returning guests, are served every Sunday morning. The homemade, organic breakfasts and afternoon snacks will leave you begging for the recipes (which they'll cheerfully provide). 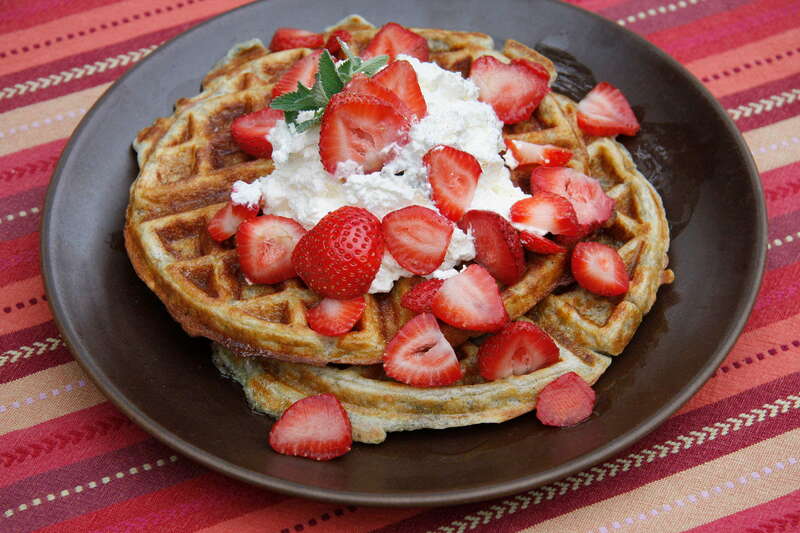 Breakfast is served in the art-filled living-dining area or out in the sunny courtyard. The inn hosts a nightly social hour with complimentary wine and hors d'oeuvres. 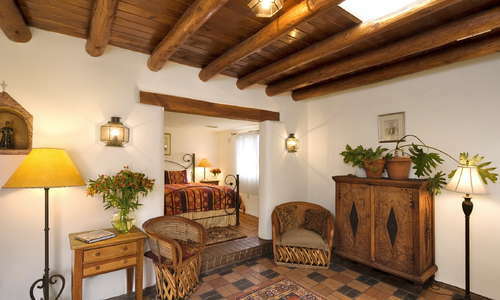 The inn is in a peaceful yet relatively central residential area on the east side of downtown, an easy 10- to 15-minute walk from many of Santa Fe's top museums, galleries, shops, and restaurants. A car or Uber is handy for exploring farther afield, to Museum Hill or the Santa Fe Opera, for example. Chez Mamou French Cafe & Bakery (5-minute walk) serves a heavenly almond croissants, decadent croque madame sandwiches, and more substantial Gallic fare—moules frites, rack of lamb with red wine sauce—in the evening. Amid the dozens of fine art galleries on Canyon Road you'll also find exquisitely prepared contemporary cuisine at refined Geronimo Restaurant (15-minute walk), where you might sample sweet corn–and–lobster crepes followed by cherry-rubbed elk tenderloin. You'll find an extensive list of domestic and international vino at cheerful TerraCotta Wine Bistro (12-minute walk), which is steps from the Georgia O'Keeffe Museum and also serves tasty Mediterranean-inspired food. Stroll up arty and historic Canyon Road to reach El Farol (15-minute walk), a favorite local watering hole since it opened in 1835. There's live music some evenings, and you can nosh on well-prepared Spanish food while you sip sangria or a martini. For a smaller property in a residential neighborhood, Hacienda Nicholas has a lot going for it. The owners are friendly and helpful, the location quiet yet close to Canyon Road galleries and Plaza dining and attractions. You can also book treatments in the full-service spa across the street, and the management rents out four larger casitas and cottages that are ideal for longer stays or families. We're also fans of the inn's "green" practices, which include the use of eco-friendly cleaning products and lighting, and low-flow toilets. $$ &middot; 220 W. Manhattan St.
$$ &middot; 400 Griffin St.
$$ &middot; 138 W. Manhattan St.
$$ &middot; 512 Webber St.
$$ &middot; 4048 Cerrillos Rd.